Enjoy MyDay, a brand of CooperVision silicone hydrogel contact lenses. 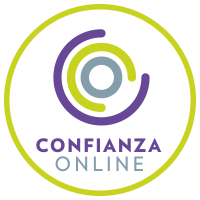 Our daily life is very active and that is why our online contact lenses must cover the visual needs of users during all hours of use, thus improving your quality of life. From Prodevisión, online optics, we want to explain the most important characteristics of MyDay daily lenses. • Created in Smart Silicone, a polymer that supplies more oxygen to the eye than other daily contact lenses, using less silicone in its structure. This property causes more space for water molecules, resulting in a hydrophilic material that keeps the sensation of moisture in your eyes throughout the day. This property also makes these lenses incredibly soft, and comfortable, all without losing their user-friendly property. • To improve comfort, MyDay incorporates an advanced system that significantly smoothes the surface of the lens, this together with the rounded edges make the eyelids slide on it smoothly, without toning the friction. In patients, it means that you do not notice that you are wearing them. • Being daily lenses of silicone hydrogel, oxygen transmission to the cornea is very high, keeping your eyes white and healthy. • These contact lenses do not need maintenance, you will save the liquid and its possible side effects derived from the use, such as itching, red eyes or intolerance, in the most acute cases. • The correction parameters that correct reach up to -10.00 diopters of myopia and up to +6.00 diopters of hyperopia, a wide range that covers the needs of many patients. 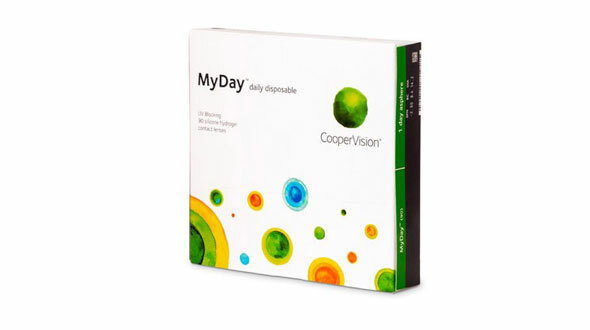 • MyDay includes UV protection, filtering up to 85% of UVA radiation and 96% of UVB rays, favoring long-term eye health. The use of electronic devices affects the degeneration of the cells of the retina, causing long-term, DMAE. • It is presented in a format of 30 and 90 units per box. 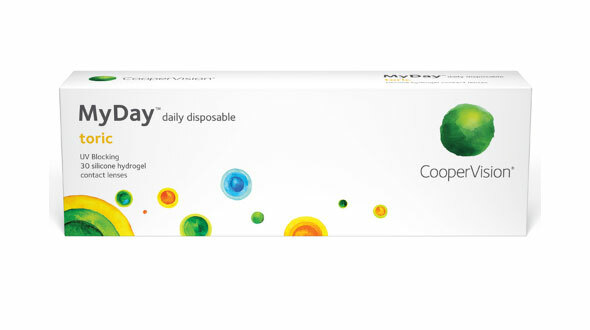 MyDay is a balanced contact lens that offers easy handling. Important: You may not find the brand of contact lenses that you have acquired in your optic lately among our brands. That may be because they have a name created for the optics where you bought them (a lens with the same characteristics as the original but with another name). 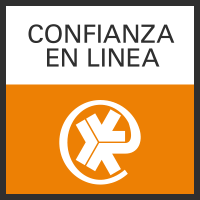 In Prodevisión you can buy cheap MyDay contact lenses quickly and with secure payment.